There's a language myth that the Inuit have a hundred or more words for snow. Although this idea has been disproved by linguists, it persists. In fact, English has many words for snow — blizzard, dusting, flurry, powder, sleet, slush, snowfall, snowflake and snowstorm are some that come to mind. Our Nature Guide Jon Latimer tells us about this weather phenomenon. "Snow is water frozen into small ice crystals that fall from the sky. These crystals begin to form from water vapor in clouds when the temperature drops below freezing. Water collects around tiny particles of soil or dust that have been carried up into the atmosphere by wind. 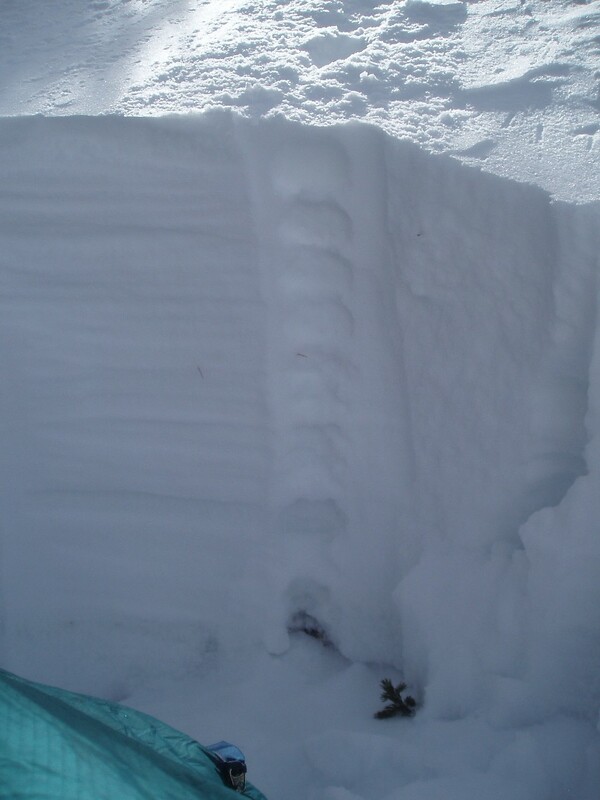 As snow crystals grow, they become heavier and fall towards the ground. During their fall, anywhere from 2 to 200 of these ice crystals join together to form a snowflake. All snowflakes have six sides, but the crystals can be arranged in so many different ways that no two snowflakes are exactly alike. 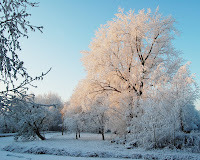 "Snow is white because its ice crystals reflect almost all visible sunlight. Visible sunlight contains the complete spectrum of colors but appears to be white. Other materials have color because they reflect some sunlight and absorb the rest. The color they reflect is the color we see. "You may have noticed that fresh snow absorbs sound. This is because air trapped between snowflakes minimizes vibrations. At low temperatures this trapped air also produces the squeaking sound you may hear when walking across newly fallen snow. "Once on the ground, snow begins a cycle of melting and refreezing, eventually packing down into a dense mass called snowpack. Snow piles left by shoveling or plowing also pack down, forming very cold mounds of ice. These are often turned gray or black by dirt or automobile exhaust. But eventually even the largest piles melt and dreary winter turns into spring."